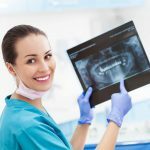 In order for a dentist to be considered proficient at the Smile LA Modern Dentistry, they need to have few decades of relevant experience in the dental field. Consistent success in performing dental treatment procedures awards the dentist the competency and proficiency needed. As a result of our dentists being considered the most competent and proficient they have been featured in some Television shows involving smile make-overs. Being an expert in the field gives confidence to the dentist in their skills and the patient in the outcome. Some treatments are very sensitive and require a professional who leaves no space for even the tiniest mistake. They understand the significance and seriousness that is associated with accomplishing the exact look and even exceeding the expectations during the first trial. Our competent dentists at the Smile LA Modern Dentistry have the zeal and drive to transform your smile from just being ordinary or unappealing to being perfect and outstanding. The most appealing aspect of the treatment is that most of them are permanent some even throughout your entire lifespan. The smile is a mirror to your personality even the small fragments that you do not want to show willingly. The perfect smile cannot be gauged using currency and words cannot even begin to explain its worth. Your smile has immense power to do imaginable things such as elevating the level of your confidence as well as self-esteem. With that perfect smile on your face, you will have that drive to go get what you want to accomplish. People who are not so sure about their appearance of the smile will have the tendency to shy away from what they want to pursue. There is a certain high level of reluctance level when it comes to chasing your dreams for individuals who consider their smiles unattractive. Such individuals are afraid of being rejected by other individuals so they are afraid of appearing as repulsive. The first thing people notice when they meet you is your smile. First impressions are important and you only get one chance to do so. Majority of the times people consider other individuals beautiful based on their smile. More often than not people with perfect smiles are considered attractive, successful and resistant to getting old. The best dentists in Downtown Los Angeles fully understand the importance of your smile.